Back to school season has begun! 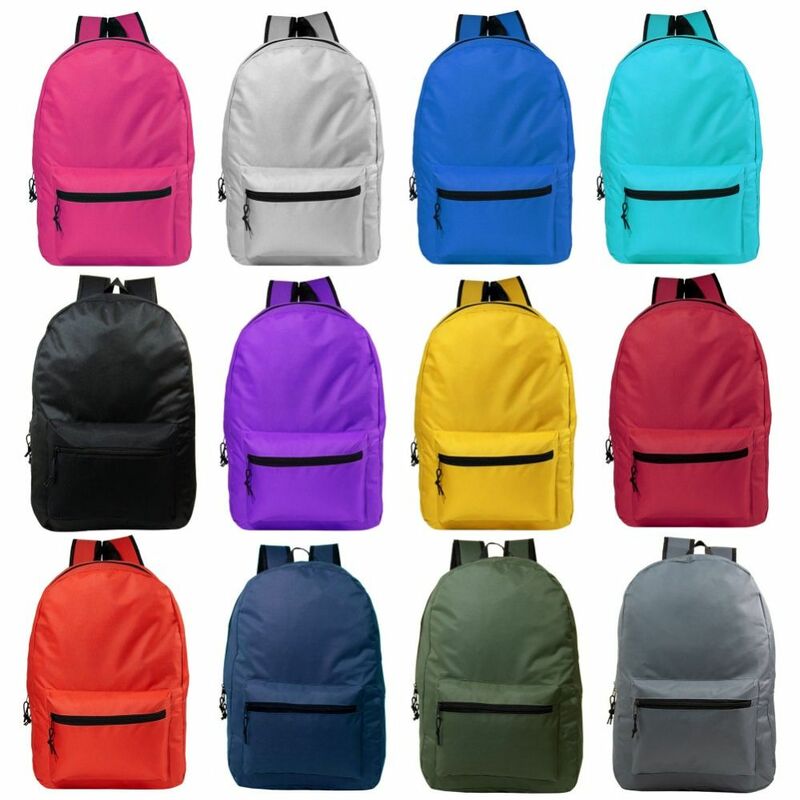 Start off next school year stylish with this 19" Classic Backpack in 12 assorted colors that includes adjustable padded straps, a main zipper compartment and a front zipper pocket. This backpack is perfect for students of all ages. Each case comes with 24 backpacks in 12 great assorted colors!